An angel visits Mary, a teenage girl engaged to be married. The angel celebrates her as one highly favored by God. Perplexed, she wonders about the angel’s shocking greeting. Then he further stuns her by saying she will become pregnant, and her child will save her people. 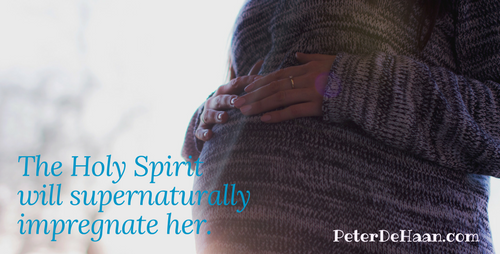 The angel explains that the Holy Spirit will supernaturally impregnate her. Mary trusts God in this and accepts it without arguing. When Joseph, her fiancé, finds out about her condition, he’s going to dump her, but an angel visits him and tells him not to. Though they eventually marry, they remain celibate until after Mary’s miracle baby is born. However, before that happens, Mary and Joseph must travel to Bethlehem for a mandatory census. Unable to find a room to stay in, they hunker down in a barn. There, among the filth of livestock, Jesus is born. This is no ordinary birth: angels celebrate, shepherds bow down, and royalty offer expensive gifts. Then at Jesus’ consecration, people give astounding prophecies and thanks for him. Twelve years later, Jesus amazes his parents, especially his mom, when they find him at the temple in deep discussion with the religious leaders. At age thirty he starts his ministry. Three years later, during his execution, Jesus asks his close disciple John to care for Mary. The last we hear of her is at a gathering of Jesus’ followers after he rises from the dead and returns to heaven. Though we praise Mary for her pious acceptance of God’s assignment, the townspeople did not likely celebrate her situation. They probably dismissed her claim that God did it, and she forever carried the stigma as the girl who got pregnant before being married. Sometimes there is a price for following God. Would we be willing to suffer a lifetime of humiliation to conform to his plan for us? Read about more amazing biblical women in Women of the Bible.